Decades ago, when the Internet was new, and web pages were expensive, and just a dream for many business owners, most small and large businesses didn’t have their own websites. Jump ahead to 2018. Are you a business owner without a website? 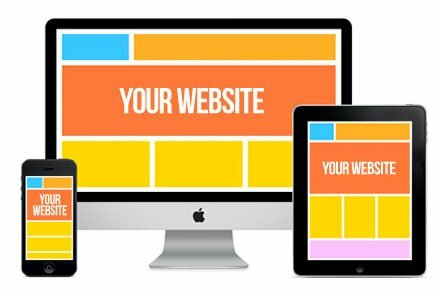 Check out why every business should and can have a website. Whether you have a small online startup or your own a specialty brick-and-mortar boutique, having your own website can help your business get exposure. If your business is run by just you or you have a small team of employees, you probably don’t have a lot of time to go out and meet people or drum up some business. While you shouldn’t solely rely on a website to draw in potential customers and clients, it has great potential to give you more exposure as a company without sacrificing time and money. You can add your website to your business cards and social media profile, and you’re one step closer to having more people know about you. Even though we’re living in an age that seems to revolve around social media, websites still tend to make businesses seem more professional and “legit.” Depending on your clientele, you may not want to direct them to your Facebook page. The great thing about most websites today is that you have complete control over the content. Your website can be one giant contact page, or it can be an online portfolio of all of your work. It can be a helpful tool in developing an online store, or it can simply tell potential customers more about your business. In the past, having a website meant relying on someone else to build it and even if you told the designer what you wanted, there was no guarantee that it would be on the website. Today, building a versatile website that gives you complete control is easy, especially when you use web builders like www.best10websitebuilders.com. You don’t have to have years of experience or even be all that tech-savvy. Even if you use analytical tools to try to reach your target audience, a website can draw in customers and clients that you may have overlooked or never considered. Again, a website is a virtually effortless way to gain more customers while still focusing on your business plan. Depending on how you design your site, you can be more responsive to your customers and resolve issues or ask questions more quickly. A website can become a “one-stop” place for your customers if you have all the right contact information. If your potential or existing customers have to track down ways to reach you with a question (or a complaint), they will likely go elsewhere and give you less than shining feedback. Advertising is expensive, and if you’re a business owner, you might not have a budget devoted to advertising. You can use your website as a way to promote sales or new items, and you can change it as frequently as you want without worrying about contacting an ad agency or hoping that the ad got printed correctly. If you’re a business owner in 2018, there are more advantages than disadvantages to have a website and you can make it easy by building your own right away.